Ha ha I enjoyed it - bit different to the normal hearts and flowers! That should be "uses Hank Williams's standard 'Cold, Cold Heart' as sung by Tony Bennett," I believe. 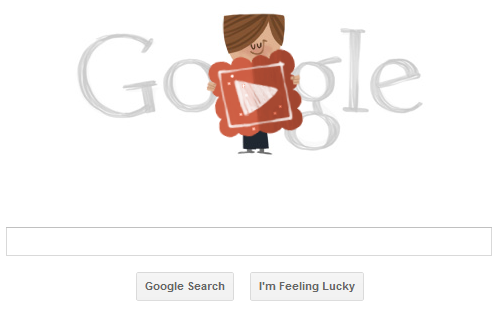 On last Valentine's day, Google choose such a wodnerful doodle. Really that was nice. Awesome imaginary.